4 Ways Summer Camps Help Prepare Children for the "Real World"
Summer camp provides children with amazing opportunities that help them be better equipped for adulthood. How do your child feel about school? Some kids look forward to the first day of school with the same excitement normally reserved for birthdays, while others dread school more than going to the dentist. Make your own ice tunnels at home! 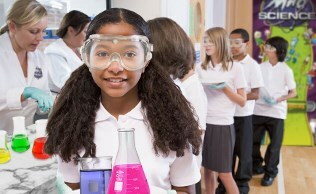 Since 1956, the government of the United States has invested a lot of money into improving the quality of science education in the country, giving grants to experts in science education so as to develop cutting-edge curricula and textbooks as well as sponsoring summer institutes for K-12 teachers. According to the U.S. Department of Commerce, unlike other careers growing at the rate of 9.8% from 2008 to 2018, careers in STEM are growing magnificently at a rate of 17%.